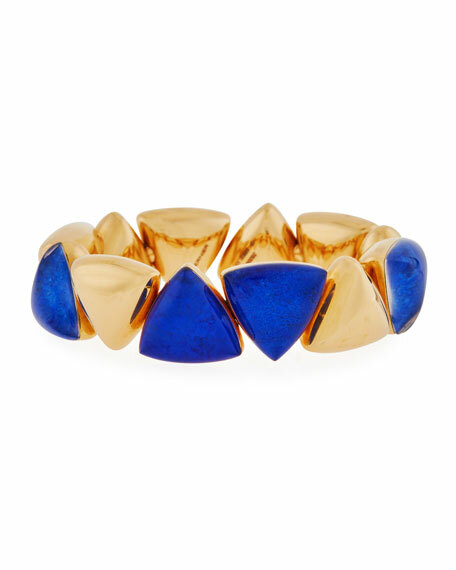 Vhernier lapis rock crystal bracelet. Polished 18-karat rose gold beads. 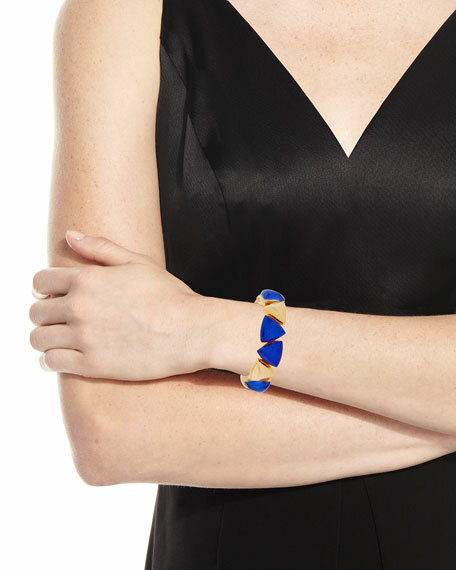 Triangular gold and lapis stations. For in-store inquiries, use sku #2548730.